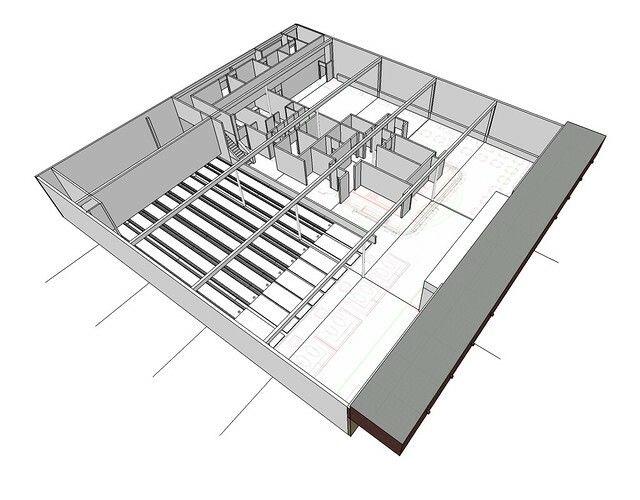 Fan Feast update: Highball interior and in-game bowling! Small update, but big success with the map. I have started modeling the interior of the Highball. Some parts of the building are very open while others are very crampt. Add the fact that nothing inside is symmetrical and you have a hard building to get a proper layout done for. It took me a few evening to get something I though was acceptable. Then I realized, the only built the Highball last year, someone has to have the floor plans. And they did, once I had the floor plan it was only a matter of an hour to get a perfectly spot-on interior model of the wall layout. There is still lots of detail to come, but this will greatly accelerate my modeling time. 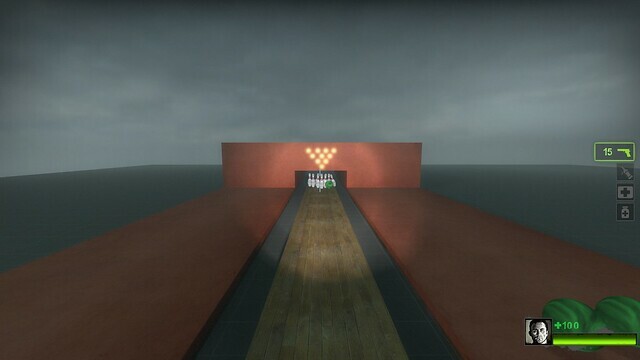 When I first started making this map I wanted to have a bowling mini-game. The idea being in survival mode if the players bowled a strike alarms and lights would go off and the hordes would start coming. It was tough to get working, but I now have an acceptable bowling mini-game inside the Highball. It works pretty darn well and is a lot of fun. In fact I bet in Scavenge mode you might find some of the special infected bowling rather then hunting down the survivors. The image below is just the concept prototype. Comments Off on Fan Feast update: Highball interior and in-game bowling!